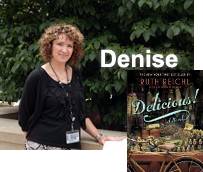 Delicious by Ruth Reichl is a book I liked more as I got into it. I loved the old mansion in New York, the cooking, the restaurant culture, and the WW2 era backstory with James Beard. The romantic side story added a nice flavor to the story too.